Why Social Virtual Reality is the Future? 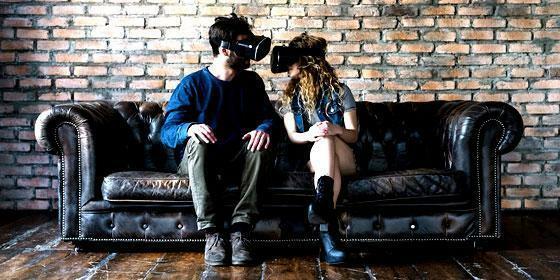 Rate this Article There are a lot of speculations whether VR will replace the current way people communicate and socialize with each other. Let’s take a look at the possibilities. The advent of social media has brought about a lot of changes in the way we communicate. This was made possible through the continual global advancement of the Internet and Social Networking. From the very early and humble beginnings of the popularized IRC (Internet Relay Chat) to the social networks of today like Facebook, Tweeter, You Tube and the like, Social Media has geown to unprecedented heights. Today’s social media ideally makes use of 4 major mediums and an onlime platform where people can congregate and communicate. These forms of communication are via Text, Audio, Video and Photos. Usually, a combination of these or all of them are used simultaneously as a way for people to talk to each other and express their thoughts and what they want to get across. The usual way for a one on one conversation would be to use a chat feature while communicating to a group or a crowd is ideally done through a post and comment section. With smart mobile devices a common thing today (a far cry from the early text only devices like Pagers), one has instant access to social network multimedia wherever a network signal is present. The current technology has been optimized and has been in use for some time. However, just like most advances in human evolution, the development cycle climbs up to it’s peak, levels and after some time starts to decline unless something new and innovative is introduced. This will keep the technology from stagnating as it continually advances and moves on. In the case of social media, a new way of communicating and a fresh new look on how people interact with each other may be in order. The old tried way has been in use for several years and although just fine and not broken in any way, may need a little innovative add-on features to sort of widen the playing field and give users an extra option to choose from when socializing online. With today’s VR technology continually improving and being made available to the masses, combining it with social networking may improve the way by which we communicate with each other online. 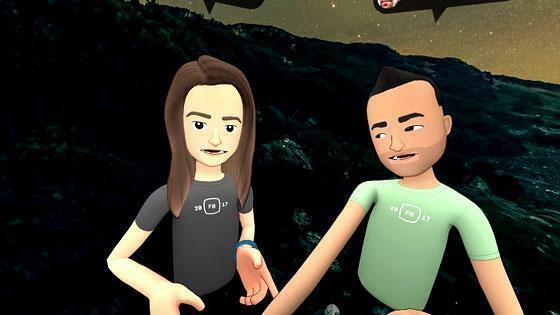 VR makes extensive use of Avatars to represent the people who are talking to each other. These are avatars placed in a virtual environment conducive for the focused exchanging of information, ideas and/or friendly socializing. Several studies have been made regarding VR avatars and their psychological effects on the viewers and the persons interacting with them. For one, avatars reduce unnecessary movements that can distract the viewer from focusing at the topic on hand. They also reduces the amount of data needed to be sent as compared to a live video feed as avatar data is interpreted and generated by the receiving computer. Also, avatars mimic the movements of their users transforming actual physical actions into digital character movement. An avatar can look a lot better than the real user thus giving a better impression of one self. Though deceptive in nature, it facilitates a better environment for communication and adds to the psychological feeling of pleasantness for the virtual users. In cases where the users know each other personally, a pleasant avatar still has a positive psychological and social effect, provided the user is also trying to be as pleasant as possible. Psychologist have also discovered that mimicry of the movements of the person you are talking to can have a strong positive influence without the person being conscious of it. The effects of influencing the person are far greater than using a different set of motions. This Chameleon Effect principle is currently being applied to VR by programming avatars to have the option to do so. Not withstanding, avatars can maintain continuous eye contact which creates a stronger connection with the person being spoken to. How the avatar looks and the environment it is in can stimulate and influence the viewers point of view. To sum it up, avatars can elicit more human responses than regular human images. Over 1 billion people worldwide is estimated to be using social media and around half a billion people worldwide use avatars. The avatar system of communication with a user friendly virtual environment where users can share photos, videos and audio information as well as text in a 3D setting would no doubt revolutionize the way social media and networking currently is. The one drawback is the current cost and stability of the VR hardware platforms being used today which current Social Networking and VR companies are working on to make the application of the technology widespread and viable. As for being the future of socialization, let us remember that VR is a tool that can be used on a myriad of applications and as far as online networks and global communication is concerned, provides a very strong potential for widespread use. However, nothing beats hanging around with your friends in real life and meeting people face to face with a proper handshake. VR will no doubt be part of the future but definitely not all of it.